Now in it’s 3rd season, the Shoresh Outdoor School (SOS) offers a unique, meaningful and refreshing approach to Jewish education for 21st century families. As our kids spend more time sedentary and on screens then climbing trees and looking for frogs in puddles, our after-school program provides them with much-needed outdoor activity WHILE cultivating Jewish wisdom, knowledge and values. Created and facilitated by Shoresh, our 7-week after-school program operates out of the Kavanah Garden in Vaughan and Cedarvale Ravine in mid-town Toronto. Our daily schedule is based in the eight-shields model designed by Jon Young. It’s a model for creating a culture that connects one to self, nature, and others – igniting a deep desire to care for our planet, each other, and to share one’s gifts. Each activity is hands-on, experiential, and creatively weaves in Jewish texts and teachings.We start with an opening circle and song, then get everyone up and moving with Get in Your Guf – a movement focused activity. For example, for Rosh Hashanah, we might act out the honey bees’ waggle dance to learn about how honey bees communicate. We would then learn about Rosh Hashanah, why we eat apples and honey, how the bees are so important both to humans and to nature, and that the Talmud teaches us that no creature was created without a purpose. We’d head off to the garden or forest to observe the bees and other insects flying from flower to flower, and learn about pollination. If we saw an exceptionally strange or beautiful creature, we’d learn and say the bracha for that purpose. We’d learn that according to Bereshit, our job is to take care of creation. In order to take care of our pollinator friends, we’d get our hands dirty with clay and soil making wildflower seed balls, and then go on a hike in the forest to throw the seed balls into areas where wildflowers could grow.After that we’d take a break and have some individual quiet reflection time with our nature journals, perhaps drawing or writing about what we’d seen or learned. 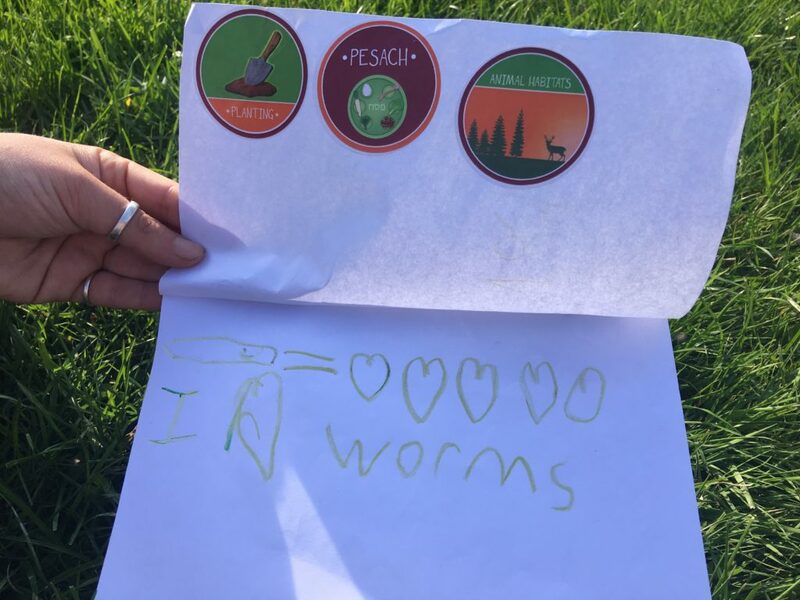 We’d finish with a closing circle and song, enjoy some apples and honey from Shoresh’s apiary at Bela Farm, and everyone would have earned their Rosh Hashanah and pollinator badges to put in their nature journals. Jewish Nature Badges? What are those? 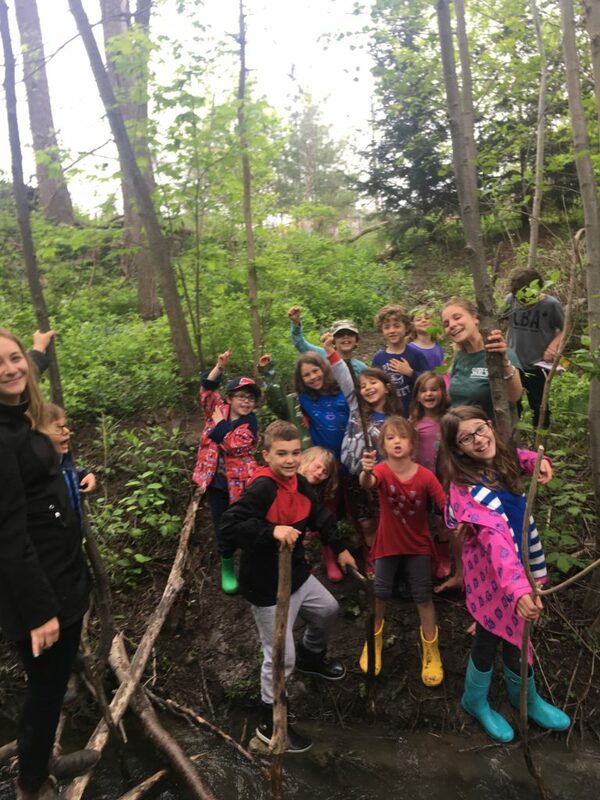 As our lives become more sedentary, urban and digital, nature-based Jewish educational programs offer critical opportunities for our children to connect to nature and Judaism in embodied, enlivening and inspiring ways. If you have kids and want to sign them up for the Shoresh Outdoor School, click here.